"Ein Lichtlein Brennt" is an old, well-known Advent poem in Germany. 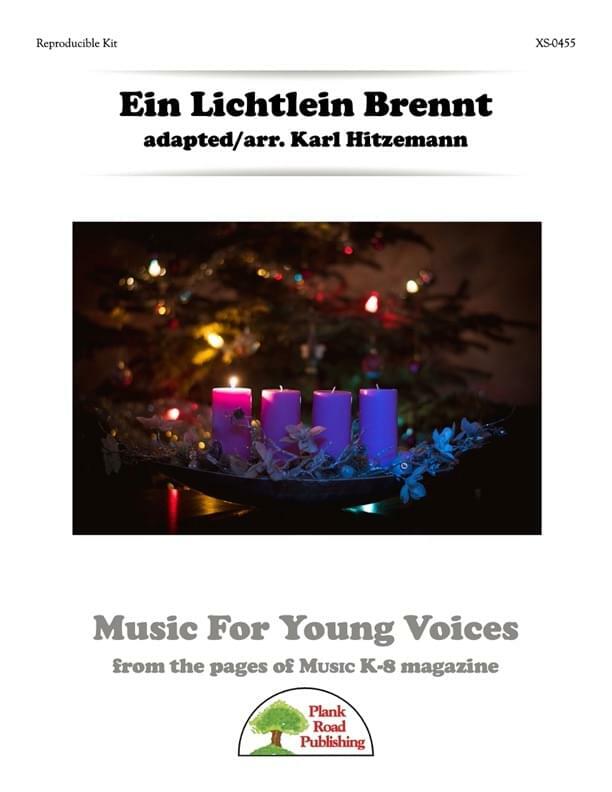 Karl Hitzemann has set it to music and made it into a beautiful little round, giving your students a great opportunity to sing in German. If that seems too daunting, you could sing it in unison and use the English translation that we have provided. Also, if singing things about Advent (or anything Christmas related) is not allowed in your school, you could sing it as a round (or in unison) and just sing "lu" instead of the words. The accompaniment track has a wonderful holiday sound to it. It features a rhythm section, winds, bells, and chimes.